Intermediary - Run Minecraft 1.2.5 mods in 1.7.10! 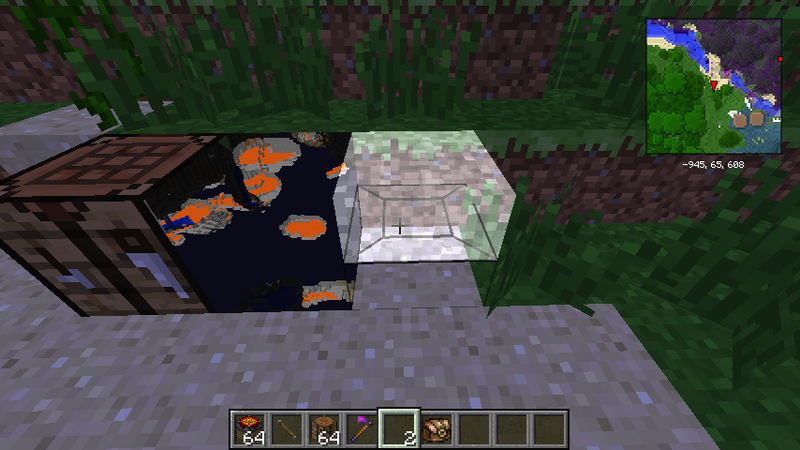 Yes you read that right, Intermediary is a mod that bridges the gap between Minecraft 1.2.5 and 1.7.10. Or at least it tries to, because it's still at an early stage; many things are functional, but many other things aren't. This is not meant for stable gameplay environments. It's riddled with bugs and unimplemented features. Don't use it on a good save game. There's a very high chance you'll do something to crash the game, possibly so badly that you can't reload the save without removing Intermediary altogether. You'll probably be playing around with it in creative mode for now anyways, so just use a new world. Or better yet, use a completely seperate Minecraft instance. You'll probably want to have NEI installed (the regular 1.7.10 version), because not all blocks added will show up in the Intermediary creative menu at this time. If you want to follow development of the project, you could look on my Twitter account, where I tend to post too many images and animations of my progress! Feel free to post in this thread success you've had with mods, lists of bugs or crashes you've found, how you caused them, screenshots of issues, etc. Being able to recreate them is important in fixing them! A. Drop the Intermediary mod JAR into your regular Forge mods folder. Run Minecraft once, and you should see a new folder appear in your Minecraft folder called "Intermediary". Inside there you'll find a new "mods" folder. This is where you put your 1.2.5 mods. A. Intermediary creates an abstraction layer for 1.2.5 mods which are attempting to access Minecraft, ModLoader, FML, and Forge. Mods believe they're running inside of 1.2.5. Many of the Java classes involved in this abstraction layer are simply empty dummy classes so that the mods will load. Others include behavior to translate actions between the two versions as accurately as possible, despite their sometimes significant differences. 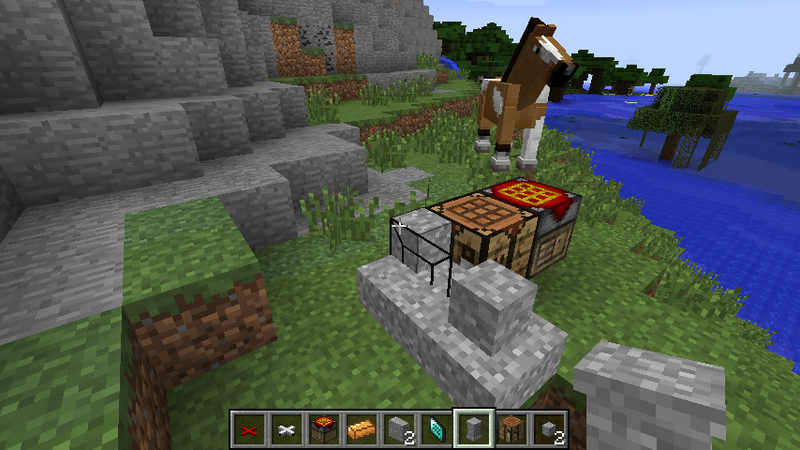 The only thing of Minecraft 1.7.10's that the 1.2.5 mods have direct access to is the OpenGL context. Q. Didn't mods have block and item ID conflicts back then? A. They sure did, and you get to enjoy that all over again! Mods will not have ID conflicts with 1.7.10 mods; they will however have conflicts with other 1.2.5 mods that you're trying to use. Most mod configs should end up inside of your "Intermediary" directory after you run them for the first time, so you'll be able to edit them from there to avoid any issues. Q. Mods were separate for client and server in 1.2.5. How does that work now that the client and server are integrated? A. Intermediary currently only uses 1.2.5 client mods. Functionality is transparently encapsulated and synchronized across the client and server, and works for things such as tile entities and containers. As far as the 1.2.5 mods are concerned, they're still running on a 1.2.5 client. This still results in synchronization issues with some things currently, however, such as item stacks, certain inventories, entity data, etc. Q. Can I run this on a server? A. Not currently, but this may be possible in the future. A. At this point, not many. And the ones which do work usually have a number of issues. Compatibility entirely comes down to me running a mod and then implementing the classes/fields/methods that a mod is trying to use. RedPower 2 pr5b2 - Red alloy wiring works, tubes and related blocks work (for the most part), logic devices work, microblocks work (but have to be crafted since they're not available from the creative menu or NEI), Blulectric machines work, frames work (but with rendering glitches), computers work, worldgen, etc. Equivalent Exchange 2 v1.4.6.5 - Most of the machines work, overall. Collectors, Relays, Condenser, DM Furnace, etc. A few of the items kind of work (such as the Vulcanite and Evertide Amulets, Destruction Catalyst, etc). Buildcraft v2.2.14 - Engines mostly work, item pipes kind of work (item stack sync issues result in problems piping items into chests, and there are item rendering issues), tanks work for water and lava, fluid pipes work, the quarry will dig blogs but doesn't render the arm. Engines and power pipes will indeed explode if you let them! IndustrialCraft 2 v1.97 - It loads, but the energy net is a bit flaky. Some machines will work. Worldgen works. Iron Chests v3.3.1.21 - Works, for the most part. Chest lids get stuck. Item rendering in crystal chests might be screwy for some things, especially vanilla items. Nether Ores v1.2.1 - It loads, you can place the blocks, that's it. Thaumcraft v2.1.6d - It loads, some blocks can be placed and used, worldgen, portable hole works, not sure what else. Forestry v1.4.8.7 (BC2 API version) - Farming machines work, engines work, worldgen, etc. Thermal Expansion v1.0.4.2 (BC2 API version) - Machines work, GUIs work, compatible with BuildCraft, etc. More Creeps & Weirdos v2.62a** - It loads, that's all! Requires CustomMobSpawner (tested using v1.5.1). Railcraft v5.3.3 - Coke oven works, water tank forms but doesn't collect, blast furnace won't lock into form, most blocks don't work, some items don't render but will when placed. ComputerCraft v1.4 - Loads, that's it. CameraCraft - Loads, but doesn't appear to work, items have broken rendering. Balkon's Weapon Mod - Entities will render, knife and dynamite can be thrown but don't work well, most stuff is broken. Please note that there are currently major GUI bugs which affect all mods running in Intermediary. This affects the player inventory as well when you have an Intermediary-based GUI open. *PortalGun requires you to move everything from the inner "portalgun" folder into the root of the zip before it'll work, since it normally had weird installation instructions for the time, but can still work with Intermediary fortunately with this method. **More Creeps and Weirdos requires you to take the MoreCreepsAndWeirdos.zip archive out of the main zip and use that in your Intermediary mods folder. Don't worry about the resources, they won't work right now anyway. Implemented hack workaround to prevent second render pass from vanishing after chunk sorting. Will fix properly later. Portal Gun works (kind of)! Faith plates and portal frames, at least, not the gun due to entities. Major GUI overhaul, still with a lot of bugs, but RP2 logic devices work more accurately, and sync with the server. RP2 Blulectric power and machines work, including frames and the pump. Frames have buggy rendering during movement though. RP2 Control computers work but not in release builds yet due to a mapping bug, sorry! Fixed a bug I accidentally introduced shortly before release of #001, which broke BC pipe rendering and probably other things. Thermal Expansion will now load! Other internal things that will eventually make GUIs work better. If you like what I do enough to throw your hard-earned money at me, it would certainly be appreciated! First! Anyways good luck man I cant wait to see this all working This is so cool! Holy [insert expletive], FyberOptics, this is simply awesome. I've been following your progress on Twitter... now I'm going to test it! I've been stalki- er, I mean following the development of this for awhile, and I can't wait to see the day that I can use Thaumcraft Two again. Keep up the amazinf work, Fyber! Are other versions planned? (ie 1.4.7 and others) or are you going to focus on1.2.5 instead? I tried More creeps mod from Here , and it did not work . Is there something I am doing wrong ? I installed the mod in the right spot . Maybe you would have to make it compatible . 1.4.7 would be interesting to try, especially since it was another good version from a mod standpoint. Things were a bit more complicated by that point, but they were also a bit less of a mess, considering that 1.2.5 still hadn't quite made up its mind between ModLoader, and FML, and Forge (forcing you to implement some things in two different ways). I might look into it eventually. You're likely not doing anything wrong; entities are barely supported. EntityItems are supported, at least, but even that's rudimentary. It's a high priority though, especially since I was playing with Buildcraft earlier and noticed that the quarry needs them to render properly. BC has been a good mod for testing the mod bridge, and usually as I implement fixes for it, they begin to trickle out into benefiting other mods. I downloaded MoreCreeps just now, because the more mods I have to test with, the better! RedPower 2 pr5b2 - Red alloy wiring works, tubes and related blocks work (for the most part), logic devices work (but their GUIs don't sync), microblocks work (but have to be crafted since they're not available from the creative menu or NEI), etc. Equivalent Exchange 2 v1.4.6.5 - Most of the machines work, overall. Collectors, Relays, Condenser, DM Furnace, etc. Most of the items don't, though the Philosopher's Stone does work to transmute blocks. Buildcraft v2.2.14 - Engines mostly work, item pipes kind of work (item stack sync issues result in problems piping items into chests, and there are item rendering issues), tanks work for water and lava, fluid pipes work, the quarry will dig blogs but won't keep them. Engines and power pipes will indeed explode if you let them! IndustrialCraft 2 v1.97 - It loads, but the energy net doesn't work, making it essentially useless. Nether Ores v1.2.1 - It loads, you can place the blocks. No worldgen. Thaumcraft v2.1.6d - It loads, some blocks can be placed, but I doubt any of it actually works. Forestry v1.4.8.7 - It loads, but that's about it. Blocks have broken rendering, GUIs don't seem to work yet. Fyber, it would be helpful if you could post links to where we can download these mods, if there is anywhere. Or do we have to rip them out of Tekkit or something. Also, will it matter on a server because I seem to remember something about server/client mods for this version and a few others. After some testing, in a 1.7.10 environment (Thaumcraft 4.2, Thermal Expansion 4, Flaxbeard's Steam, Optifine, Fastcraft...) with Redpower 2 PR5b2. *The project table doesn't render or craft anything, but it stores the items just fine, it remembers where I put them and the GUI renders without problem. *Microblocks are craftable, placeable (the game even "guesses" their placement correctly) and have correct hitboxes. But they're transparent, both in the inventory and in the world. *The diamond drawplate works with the silicon boule and vanilla iron; it doesn't work with copper (TE4, Flaxbeard or even RP2 copper). The handsaw works with the blocks Eloraam defined. However, both of them are stackable, show no damage bar and they're consumed after a single use. *Mine nikolite = get ruby ore. Mine ruby ore = get more ruby ore [sometimes 2+]. However, Nether Ores recognized nikolite as an ore and made its Nether counterpart. It can be mined, but it's useless. *If I try to install Redpower Wiring, the game doesn't load and the console spits a bunch of text. Here's the crash report: http://pastebin.com/DXmVrgtj (it also shows other installed mods). How would you test mods like this, that ask for a file to be placed in the minecraft jar? Is there some sort of "minecraft jar" simulation that files can be placed into? Fyber, it would be helpful if you could post links to where we can download these mods, if there is anywhere. Or do we have to rip them out of Tekkit or something. Also, will it matter on a server because I seem to remember something about server/client mods for this version and afew others. Several of them did in fact come from Tekkit Classic. Iron Chests didn't, because the one in Tekkit Classic uses an FML feature (sided proxy) that I haven't implemented yet, so I got an older one that didn't use it. I got that from the MCF page, same with Thaumcraft 2 and others. Forestry is from the official site, though people might could pull the one out of some of FTB's old packs too. If all goes to plan, you'll never need the server-side mods. Even when it's multiplayer-capable, everything from the client mods will hopefully be encapsulated enough for it to not cause any problems. *Microblocks are craftable, placeable (the game even "guesses" their placement correctly) and have correct hitboxes. But they're transparent, both in the inventory and in the world. *The diamond drawplate works with the silicon boule and vanilla iron; it doesn't work with copper (TE4, Flaxbeard or even RP2 copper). The handsaw works with the blocks Eloraam defined. However, both of them are stackable, show no damage bar and they're consumed after a single use. I'm going to guess that one of the mods you're using, potentially Optifine, is causing a problem. The project table should render, as should microblocks. Redpower Wiring shouldn't crash, either, assuming you're using the same version I mentioned. The handsaws are misbehaving because I haven't connected some of those more trivial bits regarding max item damage and stack size I guess. I noticed it before too, and it was a bit annoying since I was eating up whole stacks of saws to test microblocks. But there was always some bigger bug to focus on. I'll track it down eventually! I haven't even tried to mine or break any of these blocks in survival yet because I haven't fixed the bits that control what blocks are supposed to drop. I noticed them today, from the Buildcraft quarry in fact, which appears to be a machine that will end up fixing numerous mod issues once I get it working properly. All of your information is useful, even if some of the bugs were the result of 1.7.10 mod conflicts. I do suggest you try again without them to better enjoy the mod, even though knowing which 1.7.10 mods cause issues is also good to know! I grabbed it and took a look. Unfortunately it appears to replace a Minecraft 1.2.5 base class, which means it can't be used as-is. It also uses entities I'm sure, which are currently not implemented very much. For mods like this, there's potential for me to look into what exactly the base class modifications are doing and possibly write compatibility code specifically for them for when they're loaded. But that's something I'd rather get into on down the road, since there's a lot of other stuff to be fixed for mods that will run without that. Well, I did some more tests. Clean install, just Forge, Intermediary, RP2 and Tinkers' Construct [to test mod interaction]. Wiring is loading just fine now; the only RP2 module that doesn't is Control. Without Optifine, the microblocks render with a strange texture but hey, they render. TCon's smeltery ignores RP2 ores. Blulectric solid blocks (furnace, alloy furnace) are invisible even without Optifine. A block update simply removes them. The transparent ones (pump, blue wire) can't even be placed.Lamps are working just fine. Wires connect correctly (insulated wire ignores the other insulated wires depending on colour). They accept signal from dust/blocks, but they don't output signal. The timer has a similar behaviour - it stops when RS is applied, but it transmits power only to the wires. The GUI works, but it interprets a single click as a double click (so +50ms raises the time to +100ms, and +1s raises it to +2s). I... this is amazing. I'd been hoping to see *something* like this but I never actually expected to see it! Good luck! I cannot imagine this is an easy task!